We had a great day. My main objective for the day was to spend the whole day together as a family. Hubs surprised me with breakfast, he called it an “act of love.” Very sweet and a great way to start the day. Little Gray drew me a little picture, quite cute, a small collection of little lines and pencil jabs! 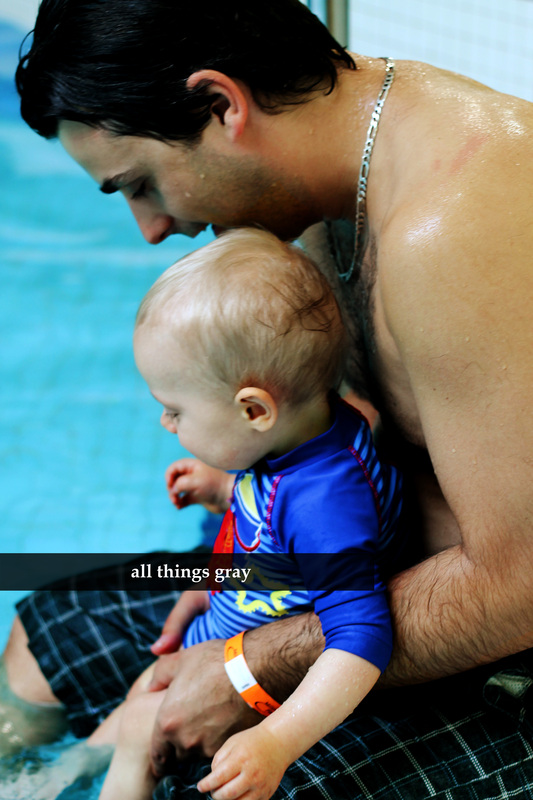 We went swimming, and I could not believe it, but Gray lasted two hours at the pool. Its too bad, but what worked best was for Hubs to just take him away and play. When I was around he just wanted cuddles. The pictures are very telling. As soon as I came near he would cry for me to pick him up. But from a distance I could see how much fun they were having, up and down the slide, splashing and even happily drifiting in a dolphin shaped floaty. Little Gray had his first quad ride, exclaiming “whoa” over all the bumps! He practiced walking and enjoyed pulling out the grass. We finished the day by enjoying a lobster dinner with family, and of course we enjoyed some cake! Back in the start of March I was so excited to share that a family had moved forth to adopt Samuel. Well imagine my joy when last night I went to visit the blog of the family adopting and found out that they also have decided to adopt Duncan! Really awesome. God is good. Traci Morton left a comment on my blog this morning. I wanted to pass along the information to anyone who wanted to contribute financially. So if you can donate that would be fantastic! Prayers are always appreciated. These adoptions are a long, emotional, axciting and expensive journey. Isn’t it exciting that these sweet boys will have a family of their own? Ok here are where things get sappy! This week marked 13 years that we have been together. I don’t know where the time has gone. We have been married almost 5 years, so yes that means we dated for 8 years. We started dating at 16. And I gotta tell you I am pretty sure I loved this boy from the moment I saw him. He always wore this hockey coat, it was red, black and white. He had (still has) the cutest flirty smile, and he had my heart right from the start. We met in junior high, we did not date until grade 10. I was really great friends with his sister, so I saw him a few times between the summer of grade 9 and 10 when he would come to pick her up from my house. Grade 10 started and we were in different crowds, didn’t talk too much. My mom planned a surprise party for my 16th birthday, my two closest friends came up with a scheme to invite him. I was schocked by the whole thing, all my closest friends were there, and I was so nervous because HE came. 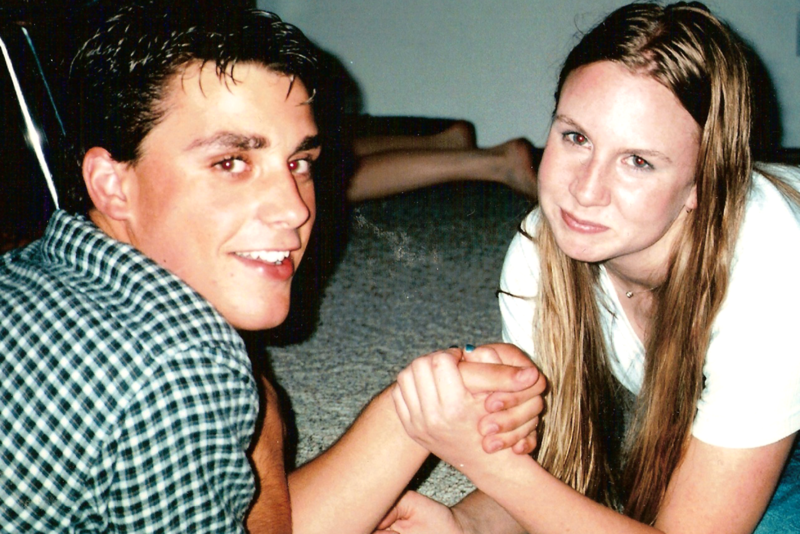 I can actually still remember what he was wearing, khakis and a button-up, white collared shirt. He wore his hair longer then. I was smitten. That party set things in motion, the next weekend we all went skating and there he was again. And before I knew it he asked me to be his girlfriend. As you can imagine, 13 years has brought us all kinds of struggles, all kinds of laughter and a whole lot of that stinking real love stuff. I can say that even though he can make me so mad he is also the one who can make me incredibly happy! And he tries so hard to make me happy even when I am mad, mad, mad! I love him. I do. But most importantly I really, really LIKE him. I like his character and his spirit. His devotion, his work ethic, the ways he does everything possible to make sure we are all taken care of. I love that he has made me a Mama, something I always dreamed about. I love how we still argue over who gets to hold Gray, or feed him, or give him a bath, because we both can not get enough. I love that about him, that he adores his son. When he became a Dad I feel in love all over again. So what was this post about? I guess just a really public way of reminding myself that my husband is kind, he is smart, he is important. I feel like I need to take time to do remember that because it seems in the shuffle sometimes I forget to tell him how great he is. So babe, this post is for you. To me you are still that 16 year old boy in that hockey jacket. Grinning at me from across the room. You still make my heart flutter. Well here I am. Me and a blog. Oh all the things to write…. I kept waiting to start on a “special day.” I wanted to start with a topic that was fresh and exciting. Probably include my little Gray in it somewhere. The Lord has sent me in a different direction…. I do have something to share, but it is an ugly shade of gray. Not happy and uplifting like the usual shades I go after. Not sweet and bright like the smile of little Gray. It is a gray that hangs over me, reminding me that this world is so broken. And that the Lord weeps for his children. If you have wandered over here from facebook then you most likely have seen my status updates about different children that need homes. Well the sweet boys I saw today totally broke my heart. They have no mental problerms, NONE! And in a couple months they will be put into a mental institute and wither away. I really can’t write too much more, tears get in the way when I even think of them. PLEASE PRAY! Pray for Duncan, pray for Samuel. I know their family is out there. Duncan very much wants a family. He is smart and works hard. He gets along well with others. Duncan struggles with facing the future here in his native country. He knows that unless a miracle happens and he gets adopted (or a family commits and gets USCIS approval) in the next few months, he is going to be sent to a mental institution, even though mentally, he has no issues. 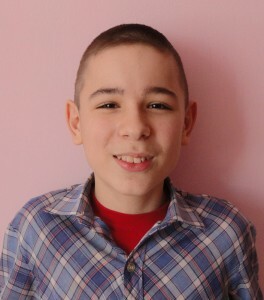 Duncan appears to have CP, and he is small for his age (about the size of a 13 year old). Duncan’s medical information is en route from the orphanage now, but the family who met him and who he approached to ask for a family and the facilitator want to go ahead and get his information and picture out there. Sam is an AMAZING young man! He is friendly, good-natured, has a good sense of humor, and loves soccer (futbol). 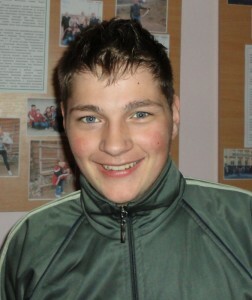 He is very good at soccer, and has gone to a camp for great players in Poland a few summers ago. Sam very much wants a family in America- he approached a family adopting there and asked many questions about it, and has talked to the orphanage staff before about how much he wants a family- for parents to love him, encourage him, and support him. Sam’s disability is very minor- he has malformed fingers on both hands that appear to be due to banding of some sort. Otherwise, he is healthy. Because of this disability, he was sent to a special needs orphanage. He is very smart, has already started learning English in school at the orphanage and is well-liked by his friends. Sam’s faith in God is very important to him and he would like a family who also worships God, who will encourage his gifts in soccer, and who will tell him “I love you” and listen to him as he talks. Not everyone can or is called to adopt but I know that we can all pray and believe the the Lord has a wonderful plan in store for both these boys! He has a plan for all of His children. It turns out this was the best post on the most ordinary day about two extraordinary people who need arms around them.